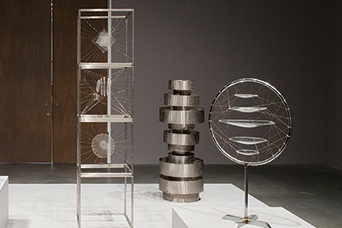 “Traveling Art” is an outreach program focusing on art initiation addressed to schools. 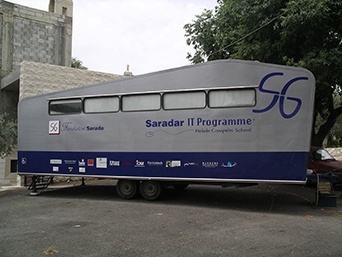 It will also be catered by Fondation Saradar Mobile School. 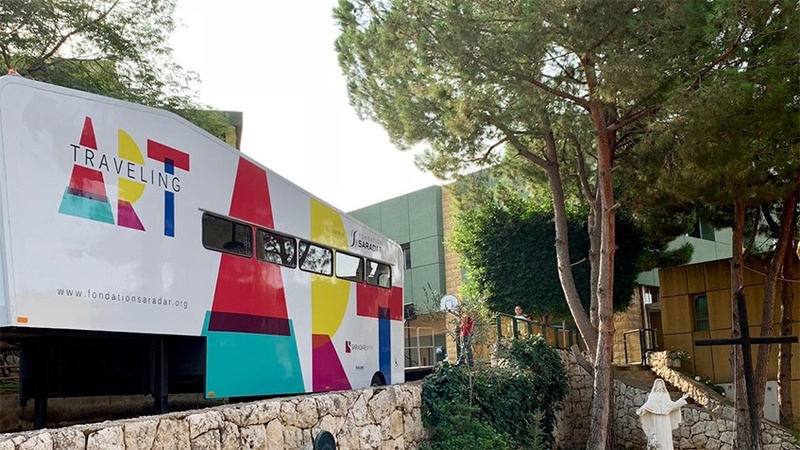 This caravan will serve as an exhibition facility to display Lebanese artists’ works highlighted by the program, as well as works created by students. 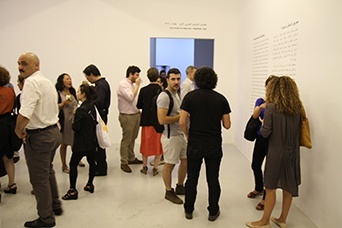 Home Works 6 is the main forum on cultural practices in Lebanon and took place from the 17th May until the 10th of June 2013. 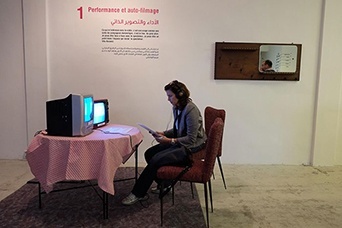 This forum included lectures, performances, theatre, dance, exhibitions, music, sound, video, and film, in different venues across Beirut. 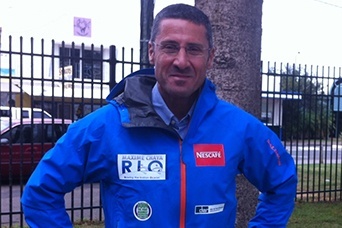 After the successes of the Seven Summits project (May 2006), and the Three Poles Challenge (April 2009), Maxime Chaya was on ‘expedition mode’ again. 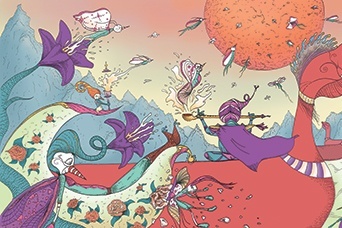 This time, he went for quite an extraordinary, once-in-a-lifetime adventure. Indeed, one of the last remaining great challenges out there: Rowing the Indian Ocean (RIO). 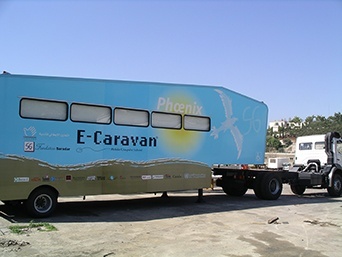 The preparations started in Lebanon. The voyage began from Perth - Western Australia, across the Indian Ocean, over to the Seychelles - off the East coast of Africa. Nothing but relentless open water with no land in sight for 4,200 Nm (7,700 km). Once the boat departed, it could not turn back for any reason, as wind and current prevented it from doing so. Andrew is a young Lebanese player fully committed to football since he was 5. After playing with Al Ain Football club in the UAE, he joined Athletico Club Beirut for training, three years ago. Known for his fair play and his discipline, Andrew was selected to be part of the Lebanese Youth National team since 2012. He was detected by the Olympique Lyonnais recruiters and trainers as a high potential player, who can, given the adequate training, shine in the world of football. 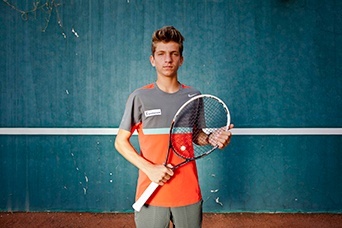 Marc Boustany is a Junior Tennis player born in 1999 in Beirut. In 2013, he was number 1 (under 14 category) in Lebanese Tennis Federation (LTF) ranking, after only one year of training. Marc is a naturally born athlete. He started at 12 years old and caught up with players nationally and internationally because of his fast learning capacities. Some of Marc’s most recent achievements include winning tournaments such as CSMT La Coudoulière (France) and TC Sollies Pont tennis tournament (France). Since 2013, Marc moved to Cyprus to follow professional tennis training at Ioannides Tennis Academy. He lives away from his family to pursue his dream. Marc was selected to be part of the Lebanese delegation representing Lebanon at the Junior Davis Cup in Malaysia, in March 2015. Born in Lebanon in 1988, Ray Bassil won her first title at age 15 at the Female Arab Championship in Algiers. With a Bachelor Degree in Food and Beverage Management in hand, Ray is pursuing her sport journey worldwide, achieving several first and second rankings, collecting gold and silver medals since 2004. 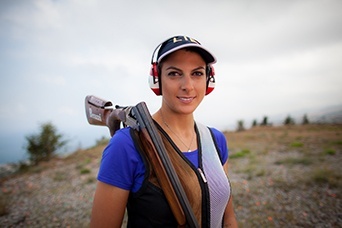 Our champion is the first and only woman ever to represent the Arab countries in Trap Shooting at the Olympic Games in Rio 2016! Her sport specialty being Distance running, Pia Nehme has achieved many outstanding records locally and internationally since 2005. 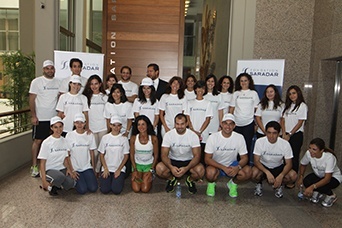 Léa Iskandar has been running since 2010 in Lebanon and in Europe. She has achieved podium wins every year, securing the first place in 5km and 10km local races and second place in the West Asian Championship. Born and raised in Ivory Coast, Nader mainly focused on soccer and tennis, until he discovered running when he moved to Lebanon for studying. 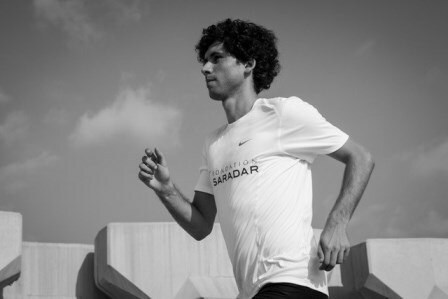 As of 2014, Nader focused on running, training extensively. He participated in several competitions in Lebanon, Abu Dhabi, Ivory Coast and Portugal, ranking with the aim and dream to qualify for the 2020 Olympics. 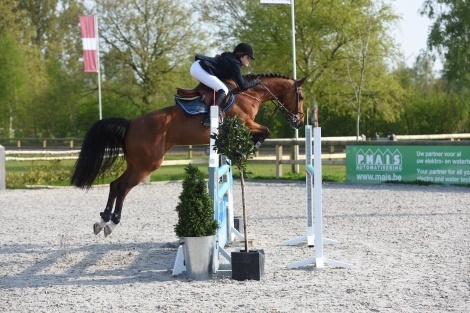 Yasmina Bocti is a horseback rider born in 2002. 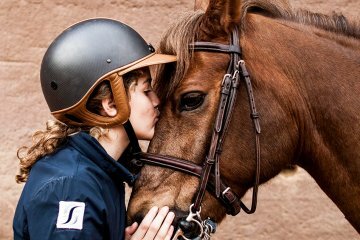 She started horseback riding at the very young age of 5. 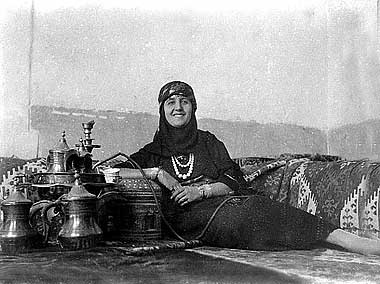 Since then, she has been passionate about horses and used to spend her summer taking care of them at Faqra Club Academy. Supported by her parents, she soon began training after school a French instructor who provided her guidance and helped her develop her skills. Since 2005, Fondation Saradar was sollicited by some municipalities in the Bekaa Valley. 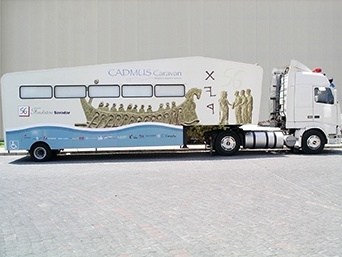 This demand prompted Fondation Saradar to explore and evaluate the needs in IT learning in the Bekaa region, which resulted in the launch of the new Cadmus Caravan. 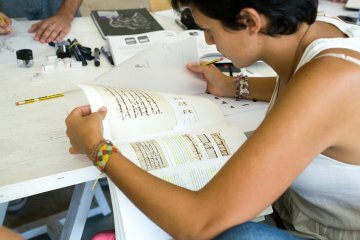 The post-occupied region of South Lebanon is characterized by a young population that suffers from high illiteracy, and a rate of unemployment significantly higher than the national average. The areas hit during the war were already the most impoverished in the country. 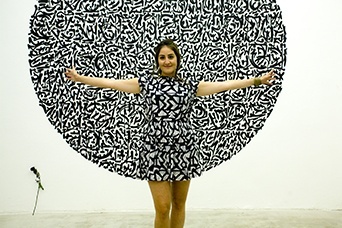 For years, through its Visual Arts program, the foundation has been engaged and committed to the enrichment and development of the Lebanese art scene, seeking to consolidate our country’s role in the art field. 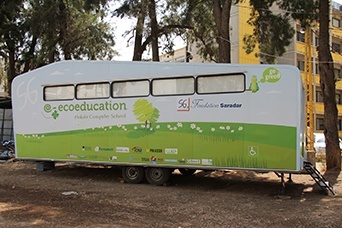 The ‘Mobile Computer School®’ project is a unique initiative launched by Fondation Saradar in 2002 with the objective to disseminate knowledge, build capacities and facilitate access to information through specialized training or workshops. We are dedicated to promoting sports and accompany our athletes in their endeavor. Our athletes believe that anything is possible if given the chance and so do we.